Gateway Academy takes Online-safety very seriously and wants all its pupils to be safe and happy when using the Internet. The links below will remind you what you have learnt in school. 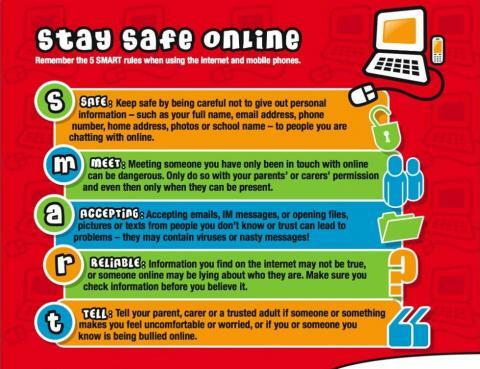 If you are a parent, please visit our parents' online-safety page. If you need support or want to tell a teacher about something you can click on the whistle icon in the top left corner of DB Primary. You could also tell a parent or speak to your teacher in school. Google - Online search engine. To ensure safe searching for the whole family go to the Search Settings in the top right-hand corner, scroll down to SafeSearch filtering then select: Use strict filtering.